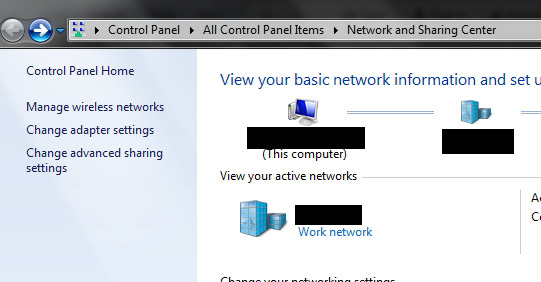 I always thought that Windows 7 would automatically switch to the next fastest connection. 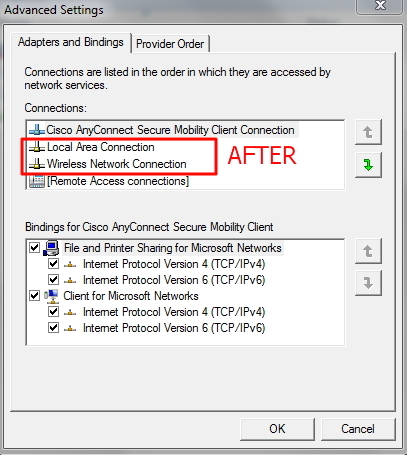 I’d been trying to figure out why it seems to stick with a wireless connection even after connecting a network connection. Turns out, Windows 7 eschews speed for reliability. 3. This brings you to a listing of connections by priority. Notice that Wireless is along the top, or first in priority. 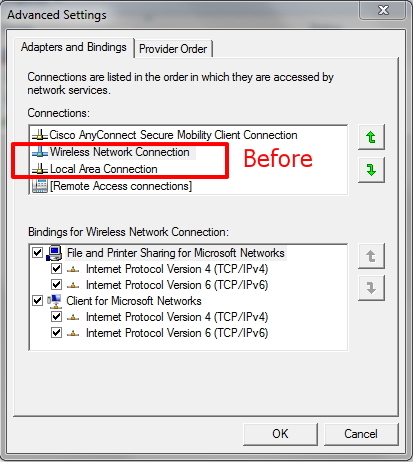 Simply move the Local Area Connection to the top or just above the wireless connection. Hit OK.
4. All done! 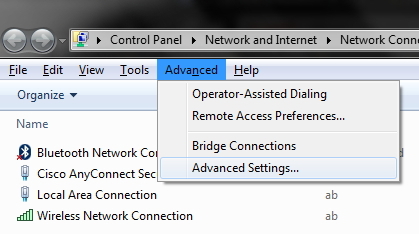 Now the next time you boot up with wireless, and plug in a wired connection Windows 7 will automatically switch to the ‘fastest’ connection!